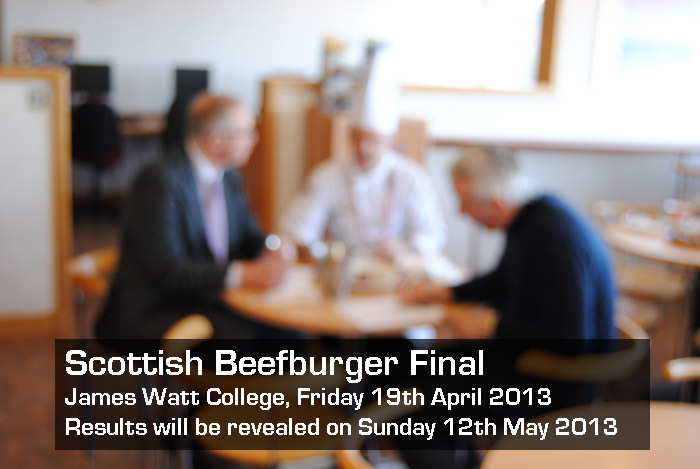 The Final of the 2013 Scottish Beefburger competition, sponsored by Lucas Ingredients was judged at James Watt College on Friday 19th April. 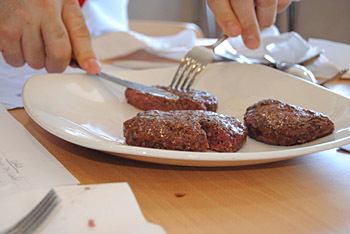 The seven best burgers from the heats held on Friday 15th March were mystery shopped and taken to the college in Greenock for the final decision. 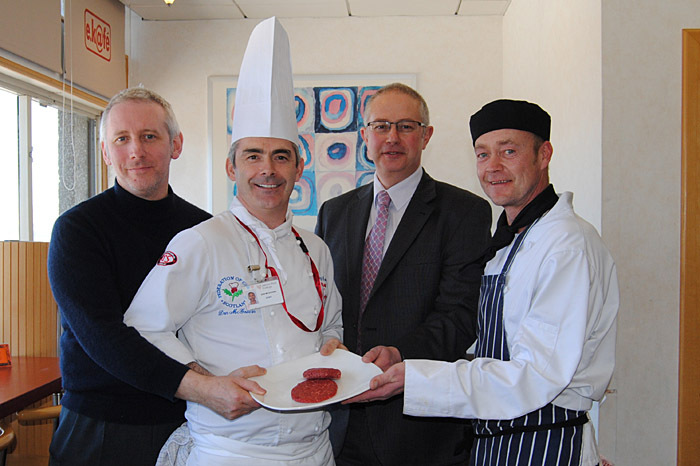 There Don McGovern, Senior Lecturer at James Watt College, Steve and Chris Peace from the Scottish Food and Drink Federation gave the finalists a thorough testing. 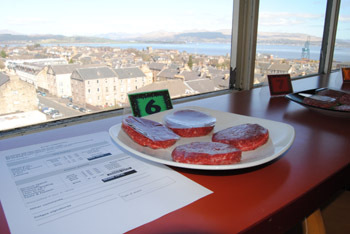 The winner will be revealed at the Scottish Meat Trade Fair to be held at Dewars Centre, Perth on Sunday 12th May. The decision of the judges was unanimous selecting number six as the clear winner. "It was a lovely burger, it was very lean had good colour but was really tasty with good flavour. Hard to find a fault, a stand out burger for me."